Update: I have received Jiu Lu Fei Xiang’s express consent to translate this novel for non-commerial purposes. It is illegal to take my translations without permission or use my translations for any monetary gains. I can’t seem to find a nice balance between resting and working. If I work, I get tired, if I don’t, I get bored. lol. Rainy Sundays are also the death of me. My fingers keep itching to flex (or is that just old people’s arthritis? >_<) So anyway, don’t get excited yet, this is just the index page for future chapters. This time, I am translating 三生，忘川无殇 by 九鹭非香 which was recommended to me by one of my editors, Lily. Out of all the xianxias I’ve read, this is definitely one of the shortest and simplest books. But for what it lacks in complexity, it makes up with its utterly undiluted sweetness. And even without too much angst, this author has a light, lingering way with her words that renders the story plenty poignant in its emotional moments. This is a story that follows the courtship between a stone from Hell and a god from Heaven that begins in the underworld, spans for three lifetimes in the mortal realm, and ends… well, I won’t tell you where it ends yet. But if Hamster is translating it, then you can rest assured it’s somewhere between a happy ending and a damn happy ending. 09: Did we use to know each other? The revised/extended simplified version is available from Amazon China. This entry was posted in c-novel and tagged sansheng wangchuan wu shang. Bookmark the permalink. Thanks for translating this book. It was another good read despite me being so picky haha. I am one of the contributors from the blog Cnewsdevotee. One of my projects that I would like to write a review in Sansheng, Wangchuan Wu Shang, and I would like to have a link on the post to your website since you’ve translated the novel in English. However, I want to ask for your permission before I do so. Would you be okay this? Thanks! Hi, of course. Be my guest. So this is already complete right? Then I will definitely read it. After I completed reading Pillow book 1 & 2 for two long days, I must day you really did a wonderful job!! thanks for this.I hope you’ll translate the 3rd and 4th book for 3L3W. WOW! after reading the whole story in an entire afternoon. It reminds me of Three Lives, THree Worlds’ characters! especially Siming! 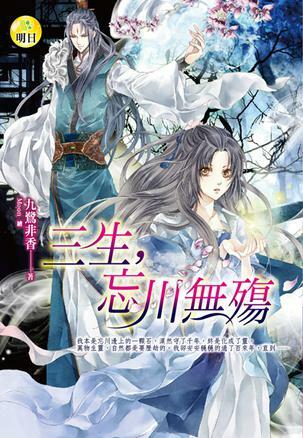 though she’s a girl in this book and the God of War here is different and not Mo Yuan but still!! plus Sansheng is the same origin with Dong Hua Dijun!!!! love love love!!!! It’s short but totally entertaining…. Thank you Hamster! I loved it. A mischievous yet loyal and caring wife who’s damn set on seducing someone who’s the source of all the obstacles between them. It’s short but sweet and the last chapter had me in tears. Thank you for translating this beautiful novel.